He is in the storm, he and Daltrey both, performing with a vibrancy for which their successors merely strive, the timeless aspects of The Who's manifesto running strong amongst the currents. 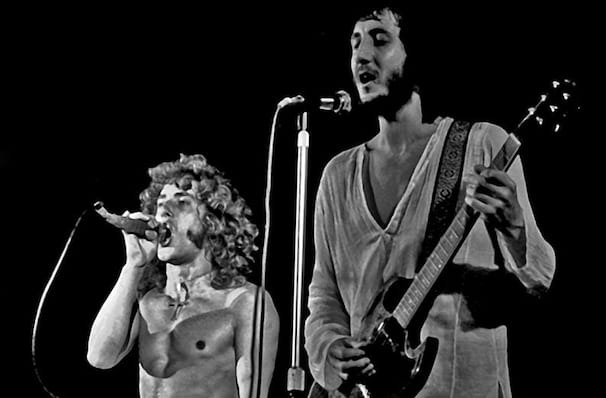 Fans everywhere will be delighted to hear that the worlds most untameable rock back, Roger Daltrey and Pete Townshend are returning to the road! 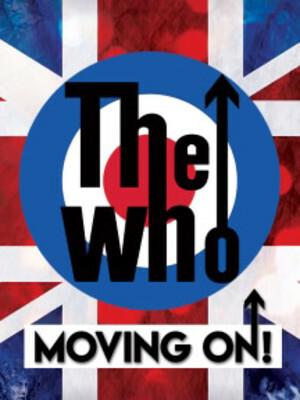 The North American tour, entitled Moving On will see The Who bringing their powerhouse rock to 29 cities, beginning in summer 2019. This is their first return to the states since their Las Vegas residency in 2017! Make sure you don't miss this explosive rock band when they come to a town near you. Expect to hear all The Whos greatest hits, along with new material which is set to be released on the bands first album in over 13 years! For the tour, the band will be rounded out with familiar The Who players including Loren Gold on keyboard, Jon Button on bass and Zak Starkey on drums. It is generally acknowledged among rock fans that The Who in their heyday were the most exciting live band on the planet, with their Live at Leeds album (1970) hailed as the greatest live album of all time. The compositional skills of Townshend have always been way beyond the conventional, as is proven not only in classic songs like 'My Generation' and 'Baba O'Riley' but also in his two great rock operas (a form he more or less invented single-handed) Tommy and Quadrophenia. Today, despite the passing of Keith Moon and John Entwistle, The Who remain a potent force on the rock music scene. Their Concert for New York City appearance after the tragedy of 9/11 was a classic, as have been their annual performances at the Royal Albert Hall in aid of the Teenage Cancer Trust. In 2006, Pete Townshend wrote The Who's first studio album for the new millennium, Endless Wire and the band toured Europe and the U.S. during 2006 and 2007. Following their hit Quadrophenia tour, they took to the road again in 2016, expanding on the previous setlist to celebrate all 50 years of their music-making, proving why they are one of the most enduring and successful rock bands on the planet today. Sound good to you? Share this page on social media and let your friends know about The Who at Hollywood Casino Amphitheatre IL. Please note: The term Hollywood Casino Amphitheatre IL and/or The Who as well as all associated graphics, logos, and/or other trademarks, tradenames or copyrights are the property of the Hollywood Casino Amphitheatre IL and/or The Who and are used herein for factual descriptive purposes only. We are in no way associated with or authorized by the Hollywood Casino Amphitheatre IL and/or The Who and neither that entity nor any of its affiliates have licensed or endorsed us to sell tickets, goods and or services in conjunction with their events.